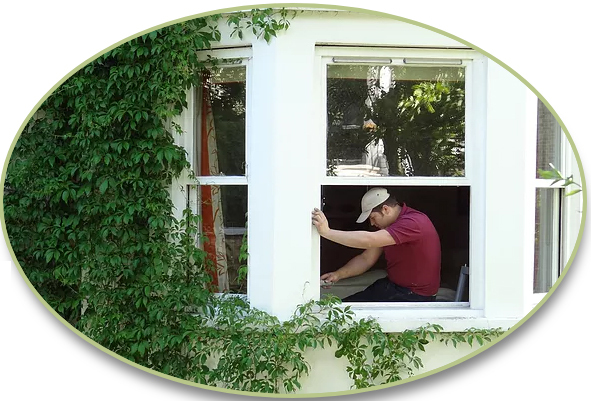 Mortice & Green provide wooden window repairs and replacement throughout all London regions including North West London. We have over twenty years of wooden window repair and replacement experience and manufacture hardwood bespoke authentic reproduction sash and casement window window replacements. With offices in west London and our workshop a stones throw away from North West London we are probably one of the best wooden window companies in London to choose for your North West London property. We have many satisfied customers in virtually all parts of North West London so providing you with local excellent references from our previous clients is not a problem whatsoever, in fact there is a big possibility that you live within walking distance from one of our many previous happy clients. A full list of all the postcode areas in North West London we cover can be found at the foot of this page, we may also consider working even further afield if we are able to, give us a call for more information as we love to help! The UK is vast and incredible diverse. Whether traveling here for the first time or having been a resident for your whole life, there are always new and incredible things to discover. This is as much true of the people as it is of the landscape, the local events and attractions. Following is an in-depth guide to North West London and all of the mystery and intrigue that it holds. This portion of London is one of the most diverse and bustling shopping districts in all the UK. It is also home to a range of exciting activities and tours. If you want to visit some of the world’s most famous businesses and displays, you are definitely heading to the right place. Whether you’re a book buff, an aspiring artist, a musician or someone who loves the history of aircraft, you won’t find a shortage of amazing things to see and do. A great way to start your tour of this region off is by stopping by the British library. There are countless works of well-known and amazing works of literature that you can freely experience and view by simply going to the exhibition rooms that are open in the national library. Some of the earliest editions of William Shakespeare’s plays are on display in the Sir John Ritblat Gallery. You will also find the notebook of Jane Austen and even original lyrics from the famed boy band the Beatles. This building is massive and has its own, in-built bookshop for those who want to bring some classic, British literature. There are even scheduled tours for those who need help finding their way around. If staying indoors and pouring through old volumes of written works is not your idea of a great time, you can also head outdoors to visit the green lung of North London. Name such for its vivid green colors and its startling shape, Hampstead Heath is perfect for those who want to lay out a picnic and watch passersby. This area is hilly and wooded and it has expansive views of different local attractions, architectural feats and geographic landmarks. Locals flock here to bask in the sun when the weather is permitting. There are also bathing ponds available for those who wish to use them. At the heart of all this is the Kentwood House. This is a stately manor that is filled with stunning works of art by no less than Gainsborough, Vermeer and Rembrandt. Established in 1787, the Marylebone Cricket Club can also be found in this region. This is the birthing place of Cricket and it provides guided tours that last approximately an hour and a half and that are sure to please just about any sports enthusiast. Gusts can see team dressing rooms, the Media Centre with all its cutting-edge technology and equipment, the Long Room and the MCC Museum, which is simply loaded with stunning cricket memorabilia. The best time to visit this attraction is on the weekday, given that it tends to be a lot less crowded during these times. While it is currently possible to see the exhibits of famous waxworks in 20 cities throughout the world, Madame Tussauds of London is where this highly realist art medium first got its start. Given the current obsession with celebrities and celebrity lifestyles, people flock here to stand side by side with the waxen images of their favorite stars and to have their pictures taken. There are lots of souvenir shops that you’ll pass in along with stalls that sell a dazzling array of sweets. There is even a Chamber of Horrors for those who like being scared and a Marvel Super Heroes movie in 4D that lasts ten full minutes and is available for a small additional charge. Animal lovers absolutely must stop by the London Zoo to see the vast range of exhibits on display. This establishment was opened by the Zoological Society of London in 1827 and it is currently known all throughout the world. There are more than 650 different species that are held on display here and the location itself is rich with history. Among some of the best visits to see are the Modernist Penguin Pool and the Giraffe House, which were built in 1934 and 1836 respectively and have been diligently maintained throughout the decades. This site spans a stunning 36 acres and has an entire day’s worth of fun and exciting things to see and do. If you did not get your fill of British writers by visiting the British library, you are in luck. There is also the Keats house to tour. This is a quaint little cottage that was once home to John Keats. Having spent nearly two years in this residence, this popular poetic of romance is now the subject of the museum that’s housed in this very same location. You can take a self-guided tour throughout the space to appreciate his working environment. There is an audio guide that plays for free throughout the visits and there’s also an onsite store that sells the writer’s letters and poems. These are great purchases to make if you’re looking for something to do while relaxing on a blanket at Hampstead Heath. For history buffs, there are also the Jewish Museum and the Royal Air Force Museum. The Jewish museum is committed to the celebration of Jewish culture and history. Opened in just 2010, this attraction features both permanent displays and changing or rotating exhibitions. You can learn more about Judaism and the associated rituals, the life of Jews in Britain and the Holocaust. The Royal Air Force museum is incredibly large and will take quite a bit of walk as you will need to enter the deepest Hendon. There are aircraft on display here that include super light biplanes and flying boats, massive bombers and helicopters. You can even watch a movie that details the 1940 Battle of Britain. This is the perfect, low-cost outing for every member of any travel group, irrespective of age or interest. There are also options in refreshments and outdoor picnic tables for enjoying your repast al fresco.